Emma Thompson, Keira Knightley and Emma Watson signed the letter to show “solidarity and unity”. Harry Potter star Emma Watson has donated £1m to a new campaign aimed at helping those affected by harassment. 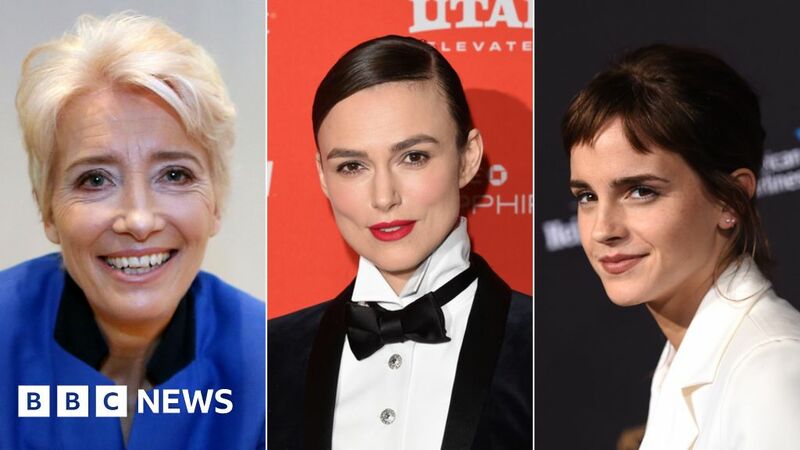 The donation comes as more than 200 female British and Irish stars have signed an open letter calling for an end to sexual harassment at work. Emma Thompson, Keira Knightley and Emma Watson are among the actors to sign the letter, published in the Observer. Women attending the Bafta Awards in London on Sunday night say they will wear black on the red carpet. The move is a show of solidarity with the Hollywood-based movement Time’s Up, launched in the wake of sexual abuse allegations by high-profile actresses against film producer Harvey Weinstein. Watson is one of the first donors to the UK Justice and Equality Fund, which has launched a crowdfunding campaign to pay for a new advice network. The fund has been set up by the women who have signed the letter, along with a group of 160 people – including academics, activists and charity workers – to help victims “access support and justice”. Keira Knightley and Tom Hiddleston have each given £10,000. Doctor Who stars Jodie Whittaker and Gugu Mbatha-Raw, Tamsin Greig and Noomi Rapace have each donated £1,000. The letter said the Bafta awards ceremony was a time to “celebrate this tremendous moment of solidarity and unity across borders by coming together and making this movement international”. It states: “This movement is bigger than just a change in our industry alone. The letter reads: “In the very near past, we lived in a world where sexual harassment was an uncomfortable joke; an unavoidable awkward part of being a girl or a woman. “It was certainly not to be discussed, let alone addressed. In 2018, we seem to have woken up in a world ripe for change. The decision to wear black at the Baftas follows a similar demonstration of support at Hollywood’s Golden Globe Awards earlier this year. Some of Britain’s biggest stars will be joined on the red carpet ahead of the Baftas by activists, including Laura Bates who founded the award-winning Everyday Sexism project.